Taken off BCF research ship DELAWARE. Small hammerhead sharks taken during research cruise off eastern U.S. 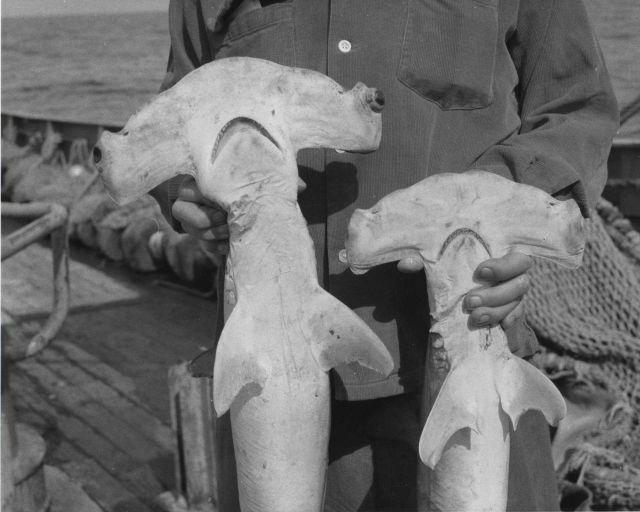 The larger shark is Sphyrna zygaena and the smaller shark is Sphyrna lewini .